Looks nice, doesn't it? 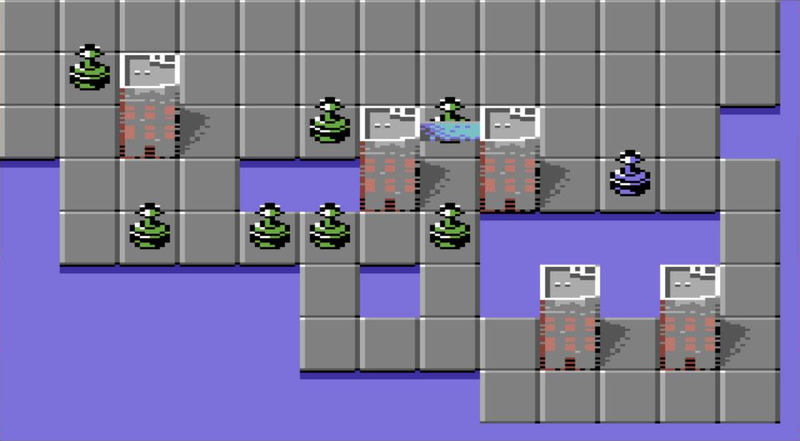 Bago/Commocore's debut release is clearly not a Duck Hunt style game (which was my initial guess when the name was announced) but nonetheless, aside from this ace looking screenshot nabbed from the Commocore Facebook page, information on Steel Duck remains elusive. (Incidentally there are some intriguing shots from other Commocore projects on Facebook as well). Despite the fact that it's not an original game (at least not with regard to the competition rules), I'd say that it is certainly Georg's strongest game to date. In the words of Brandon Williamson, creator of the inspirational Forget Me Not, "Get 'Em DX is rad". 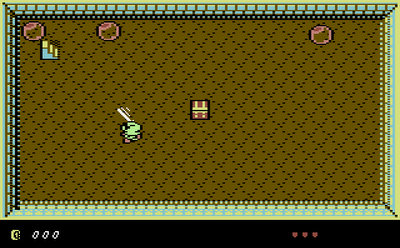 Not satisfied with one entry, Georg has again teamed up with Smila work on Wonderland, a 16KB Zelda clone for the C64. "I had Smila create graphics, so it obviously looks better now. 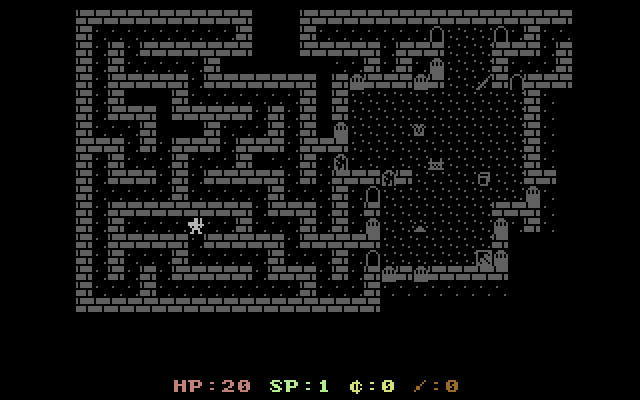 I'm working on the map currently, it's supposed to be 12x10 overground, and the same underground (dungeon) size. I hope I didn't underestimate the workload too much." After playing the preview, I can confirm that the game does indeed feel big, if a little sparsely populated right now. For the record, Soulless had something like 77 rooms (and that felt huge) so if Georg manages his target of 240 I'll personally be really impressed. 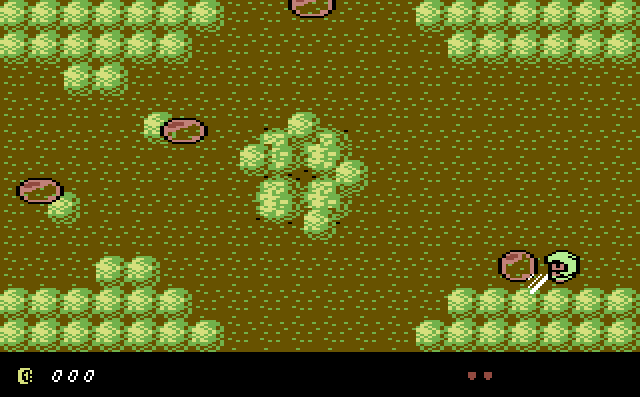 At the moment there's not a huge amount to do other than wander around the map, hack and slash little translucent blobby enemies and collect gold coins - although even at this stage the game is proving to be quite fun. 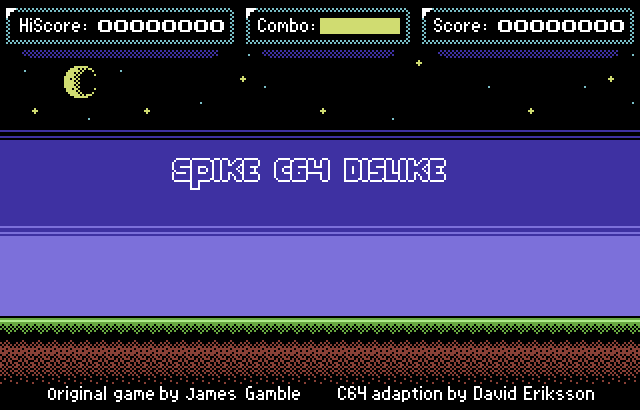 Whilst discussing progress on his main entry for the competition (see Competition Entry #18), David confirmed that he is happy enough with Spike Dislike to submit it to the compo as a secondary entry. It's a shame that there wasn't a randomly generated mode added, but I have to agree that I think his time would be better spent on his other, arguably better competition game. Unfortunately I haven't heard anything from Fnac since his initial announcement, despite sending him several emails enquiring on progress. At this stage I'd say there is still a chance he's remaining intentionally silent, but it's more likely (based on my experiences with entrants last year) that he's no longer planning to participate in the competition. Although I've not received a preview nor any further screen shots of the game, I did receive an email from Stefano to advise that he's working on completing the last levels of the game and that he'd hopefully have a test version soon. 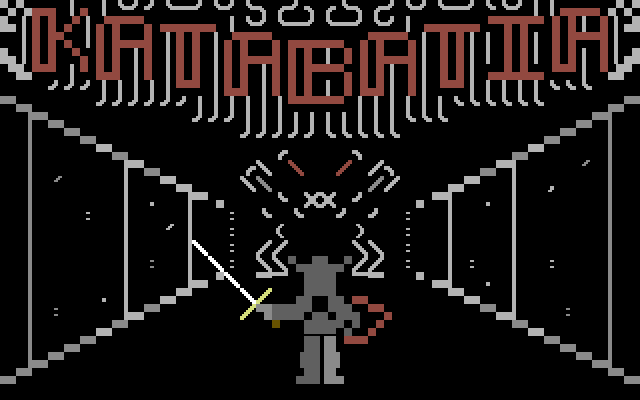 Those of you who actively follow the C64 scene will probably have played the preview of Katabatia released by Genesis Project last month - and although there's still some way to go, the game is already shaping up to become a strong and unique competition entry. "The focus now is on using and equipping items, then on to programming projectile attacks, monster spawning, and experience/leveling up. With that it will be a complete game, but some extra flair might be added with sprite animations over the chars for attacks and spells." 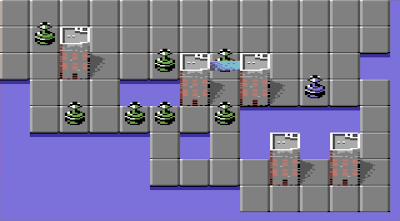 "There will be special levels that are not entirely randomly generated (I'm thinking every 5 floors and with 25 total floors that's 5 special layouts. The game will have music too. Someone suggested a PET port, I'll be looking into that after the compo." Paul asked me to share an enigmatic image from his current indie-game conversion, but I decided that it was more fun to keep it secret! What I can tell you is this; I've been playing the game a lot, and both the developers of the original version and I are really impressed at how close the C64 port is. 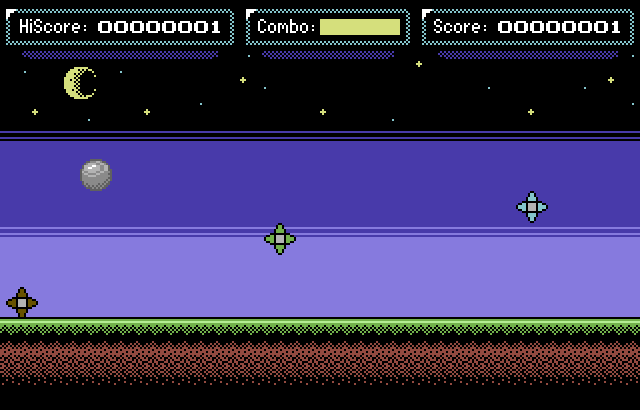 Most of the features are now in, and the plan is to release a 16KB version for the competition, soon followed by an enhanced 64KB retail cartridge. 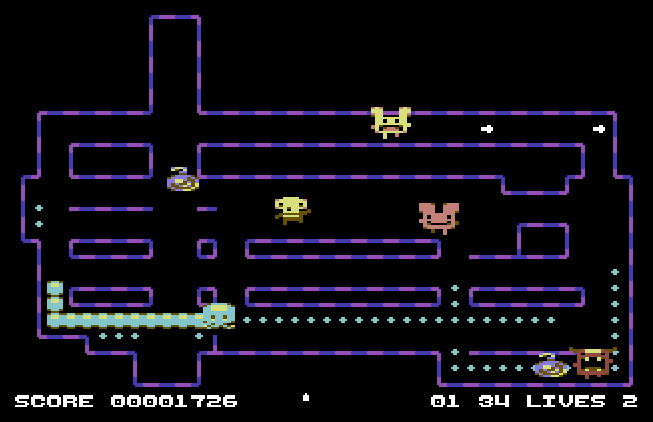 Oh, and if you are absolutely desperate to know what he has been working on, we'll be demoing the game at Play Expo in Manchester side-by-side with the original PC version next month. It may not win the competition for originality, but this game is guaranteed to rock the C64 scene. Richard has been busy completing work on his forthcoming TND/Psytronik/RGCD release Trance Sector, so very little progress has been made on Amazon Tales since the last update. However, Trance Sector is now finished and there are still a few months left to work on his entry. Redcrab (from Goin' Sideways) draws and improves the design so that our contribution will be much nicer!" Yes, you read that correctly - Redcrab, the artist behind last year's 3rd-place-winning Panic Analogue is on-board to assist Ron and Wolk with their game. Could this see the biggest jump in progress this year, compared with last years results? I'm hugely excited to see how Redcrab's influence will undoubtedly improve on the game design. Since the last update I have exchanged a few emails with Simon, who has explained that his entry will be a Boulderdash style game with a twist. "My game will combine several well-known gameplay mechanics. I haven't decided on a game title yet. I've got a working title but I would rather not disclose it in case I change my mind later. Furthermore I cannot disclose any screenshots yet because most of the graphics are placeholders for the still-to-do final graphic tiles." Hopefully we'll have some more news on this one soon - it'll be especially interesting to see how the game will vary from the standard Boulderdash formula. There has been some news from Skate and Hydrogen regarding their entry as well, although no screenshots as yet. "Our still untitled game's development is in progress but I don't want to share a screenshot at this stage because we plan some visual changes at the moment. Since this game was supposed to be a 4k game before, we had many limitations. When we decided to change to project for this compo, it's now open for some improvements. After these improvements applied, I may share a screenshot with you." Still no news on this one since the initial announcement, so I have very little information to share right now. 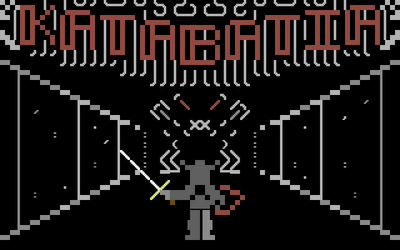 Again, this doesn't bode particularly well at this stage, but having said that it's possible that the game is in development (Slarti sent some screenshots with his entry email). Hopefully this will be another game that pops into my inbox unexpectedly in the coming weeks. 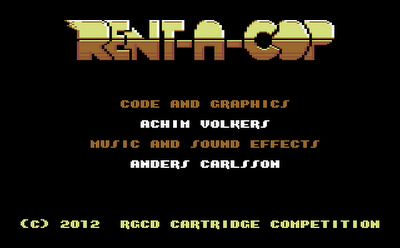 I received an email from Joonas recently advising that his game was complete and just needed to be converted into cartridge format. I suspect that this will be another game completed and submitted very soon - and when it is, I'll post an update with some new screenshots. And now some sad news - last year's winner, mix256 wrote to me to explain that due to life circumstances he will be withdrawing from the competition this year. 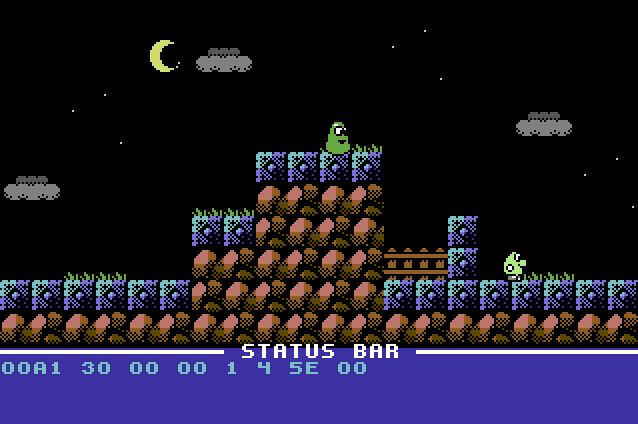 He hasn't officially left the scene or anything, but is just too busy with his family and job to concentrate on any C64 programming at the moment. Take it easy man, we'll be here again next year if you're up for it then. David's main competition entry was announced a few months back, but until recently I had absolutely no information to share. 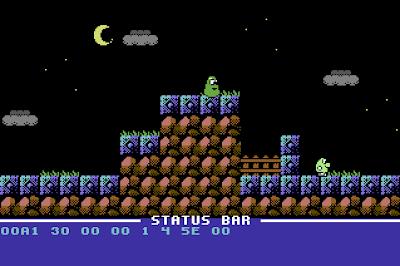 In fact, it was only after randomly finding this video on youtube that I decided to press him for some further information on this excellent looking platformer. "My goal is to keep this within 16kB for the compo, and I don't think it will be much of a problem. 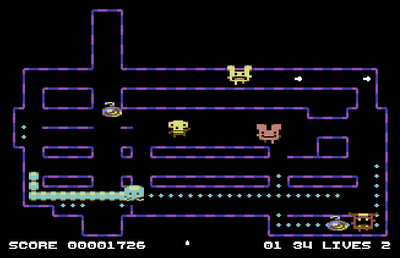 It's 6.5KB compressed at the moment so there is still lots of room left for more graphics and a rather big game-map!" "There will be a few upgrades (I already have double-jump done) which makes it possible to move on to new areas, but I will keep it all simple with instant death and so on to have a chance to have it finished by the deadline. The size of the map will be decided by how much free space I have when all code is done but I'm hoping for something like a 100 rooms, each room is rather small as it is now." "I have also been hard at work on another NES game. But I really want to finish this, so I will make sure to work on this as well!" 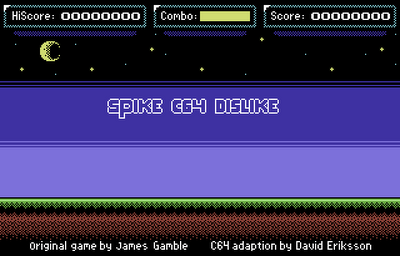 It seems that C64 scene newcomer iLKke enjoyed working on Get 'Em DX so much that he was eager to work on another game. Teaming up with RGCD's own Enthusi (code) and his Onslaught label-mate Conrad providing the soundtrack, Assembloids is shaping up to be a superb little fast-reflex arcade puzzler. 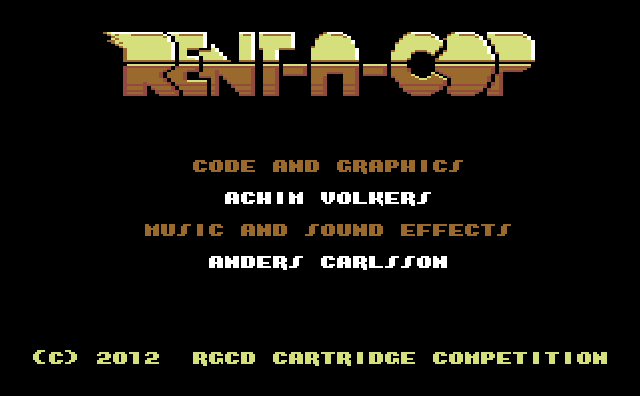 I've already received a playable preview, but I've been asked to keep this one a surprise for now. 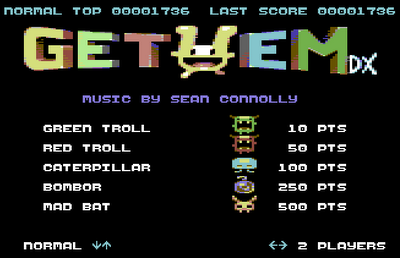 If complete and submitted, this will be the first game Enthusi has completed since 2008's Not Even Human. Finally, before closing this update I thought I should give a quick update regarding the prizes. Thanks to the generosity of Simone Bevilacqua (BOH, Quod Int Exit) and Trevor Storey (Soulless) we now have small prizes for 4th and 5th place! 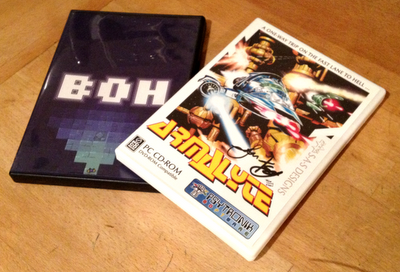 A signed copy of Psytronik Software's PC conversion of Armalyte and a copy of Retream's excellent multi-platform game BOH were already available for the winners of 1st, 2nd and 3rd place, but we have an additional copy for the runner-up 4th and 5th positions too. That's all for now - hopefully there will be more news soon!